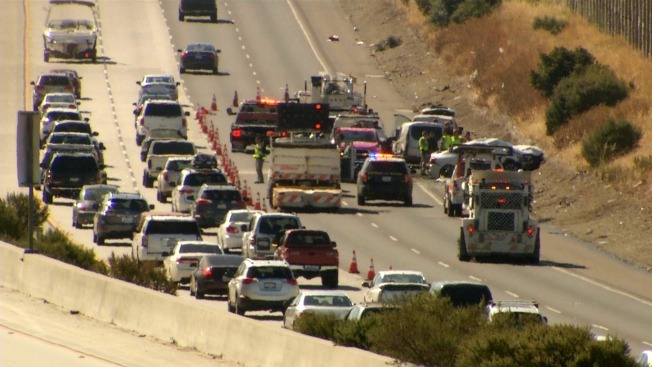 All lanes of southbound U.S. Highway 101 at Metcalf Road in San Jose reopened late Sunday morning following a deadly crash, according to California Highway Patrol officials. All but one lane had been closed as police investigated a collision in which at least one person died, according to CHP officials. The collision was first reported at 5:48 a.m. near the PG&E transmission substation at 150 Metcalf Road. The collision involved at least three vehicles, and one vehicle caught fire. At least one person has died, CHP officials said.